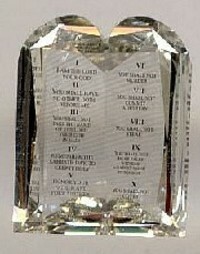 Laser inscriptions are messages, usually grading report numbers, inscribed on the girdle of the diamond. The process uses a very precise laser beam to transform the micro thin layer of diamond from its transparent form to an opaque carbon (graphite) form that is visible under magnification. Today’s laser inscription technology uses a “cold laser” process that utilizes the short wave length of light and thus has no thermal effect on the diamond. This safe process will not chip, fracture, or otherwise damage the diamond while providing great control over the precision, contrast and depth of the marking. Because diamond laser inscriptions can use any text, font, symbols, or artwork, they provide great flexibility for identification and marketing efforts. The laser inscriptions are so small that they are not visible to the eye. They are visible using 10x magnification, but are usually more readable with 20x or greater magnification. The most common use of diamond laser inscriptions is to label the diamond with the certification number for the grading laboratories’ diamond grading reports. Since laser inscriptions can be applied by anyone with the inscription equipment, there have been some rare cases of fraud. Usually this can be avoided by simply cross-referencing the inscription number with the grading laboratory’s database. For the GIA numbers this information is available at http://www.gia.edu/reportcheck/. If the laser inscription was done prior to or during the inspection at the grading laboratory, the laser inscription is usually indicated on the actual diamond grading report. Sometimes the laser inscription is applied after the grading report, in which case the certification would not make note of the laser inscription. The Canadian diamond industry has made use of laser inscriptions to differentiate their diamonds from other sources. Many of the diamonds mined in Canada are laser inscribed with a marketing trademark, a “Canadian Product” notation, or a unique serial number including a code for the particular mine where the diamond was extracted. These laser inscriptions aid in identifying the diamond but are a valuable marketing feature for those diamond shoppers looking for something a little special or requiring a diamond from Canada. Some branded diamond shapes or retail chains are using the laser inscription to market their diamonds as illustrated by the PrinceCut inscription photo on the right. For the branded diamond shapes, the laser inscription provides a validation that the diamond is the branded or patented cut. Another common use for diamond laser inscriptions is to indicate if the diamond displays a Hearts & Arrows pattern. Since there are no industry wide standards for “grading” the Hearts & Arrows pattern, it is up to the owner of the diamond to determine if the pattern warrants an H&A laser inscription. It has been our experience that some of the diamonds laser inscribed H&A have marginal Hearts & Arrows patterns while many diamonds displaying beautiful H&A patterns are not laser inscribed. Grading laboratories do not determine H&A grades and many diamond wholesalers do not even own an H&A scope, let alone examine every round diamond they own so H&A inscriptions are somewhat hit and miss. Since laser inscriptions can include any text or artwork, they can be used for personal messages. One diamond cutting company, Trillion Diamond Company, used laser inscription as part of their patented Ten Commandments Diamond®. While a personal laser inscription could be a romantic touch to a diamond gift, the personalized message becomes a liability if the diamond ever needs to be sold again. Not many diamond shoppers want a diamond with someone else’s names and wedding date inscribed on it. A skilled diamond cutter can polish off the laser inscription but that requires additional time, effort, and expense and has the potential of changing the weight of the diamond. While diamond laser inscriptions are a nice feature for identifying a diamond and we wish all diamonds were laser inscribed with their certification numbers, most diamonds (especially the bigger, more expensive stones) are not laser inscribed and there are other ways to identify a diamond. With most diamonds, it is easier to see the unique "fingerprint” of inclusions than it is to read the laser inscription with a 10x loupe and few consumers have high powered microscopes necessary to read the laser inscriptions. You right diamond laser inscriptions can use any text, font, symbols, or artwork, they provide great flexibility for identification and marketing efforts,that was a very informative uses of diamond. Keep posting! Can I read the Numbers with just a loupe? What magnification do I need? Typically the inscription can be seen but not necessarily read at 10x magnification, which is the normal loupe power. It generally takes about 30x magnification to read the numbers clearly. Readability depends on the size of the inscription, the contrast in the numbers (how dark they are), and the lighting you are using. Even though it only costs about $25 for the laser inscription, most of our clients prefer diamonds with inscriptions so the "preceived" value is probably greater than the cost of the inscription. When did the laser inscription on diamonds was started by GIA? Please tell me when laser inscription of diamonds first took place & when was the technology invented? Can the same thing be done on gold, ruby, sapphires and other rare stones? Where can such machinery be obtained? I am not an expert on laser inscriptions so other than doing an online search on the subject, I would not have any personal information to add. Your answer is important to me. I recently was given a Leo diamond. I have an inscription on the inside which is 950PT LSC-09. I entered this number on the Leo ID site and it states no such number found. The ring does have the Leo inside also. If the ID is not found does that mean it is not a Leo? The stamp on the inside of the shank is not a "laser inscription" that identifies the diamond. If the diamond is laser inscribed, you would need at least a 20x magnification to read it on the girdle of the diamond. The inscription would also be noted on the GIA Diamond Grading Report that should accompany the diamond (assuming it is GIA graded).